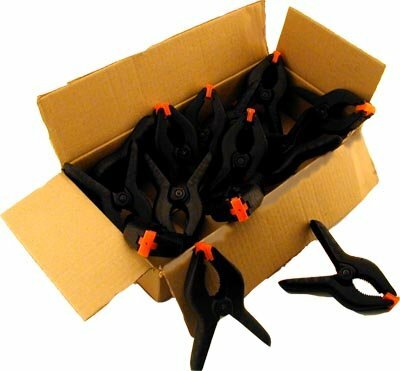 Constructed from heavy duty plastic these spring clamps feature plastic swivel pads at the tips to accommodate irregular surfaces. Spring Clamps are measured from tip to the end of the handle to give a 4 1/2in. measurment. The jaw opening is aprx. 2in. wide and the throat depth is aprx. 1 3/4in.